NextWho You Calling a Techie? 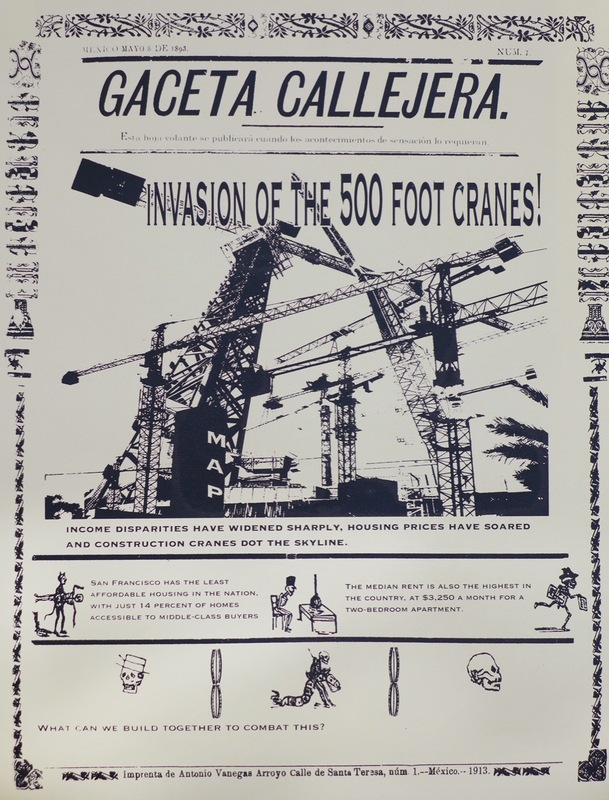 Broadsides from the frontlines of gentrification. 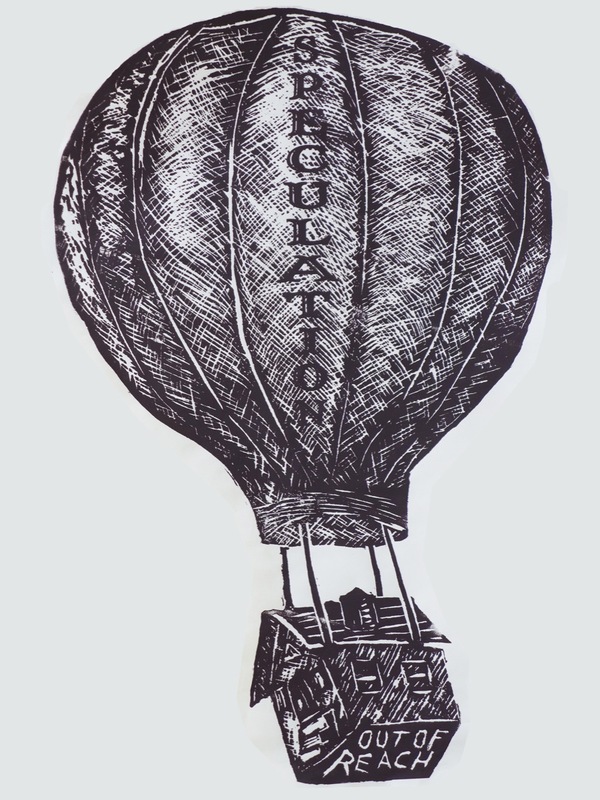 Editor’s note: The story of how San Francisco Eviction Times came to be is a San Francisco story, of the kind many fear might soon disappear. 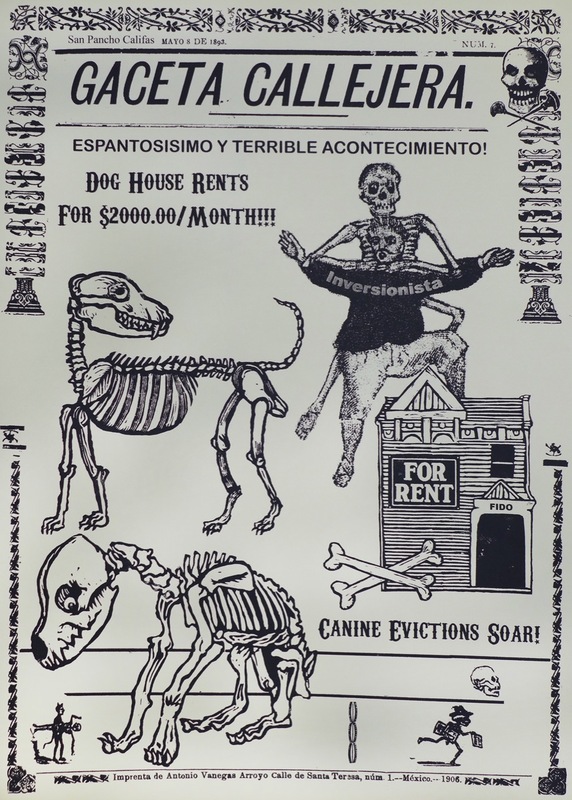 Last fall, Art Hazelwood and Patrick Piazza handed out anti-gentrification posters in the Mission at a Day of the Dead exhibition commemorating the life and work of the late Mexican political printmaker Jose Guadalupe Posada. There they struck up conversations with other activists and artists, including a DJ at San Francisco’s Mutiny Radio, who invited them to create a show for the radio station. 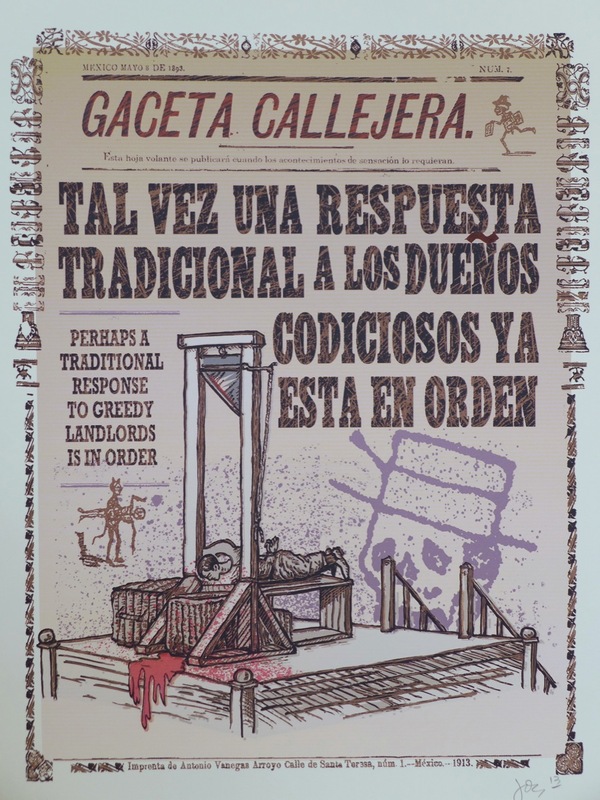 So Hazelwood and Piazza circulated a flyer by Posada that read “Esta hoja volante se publicará cuando los acontecimientos de sensación lo requieran” (“This broadside will be published when sensational events require it”). 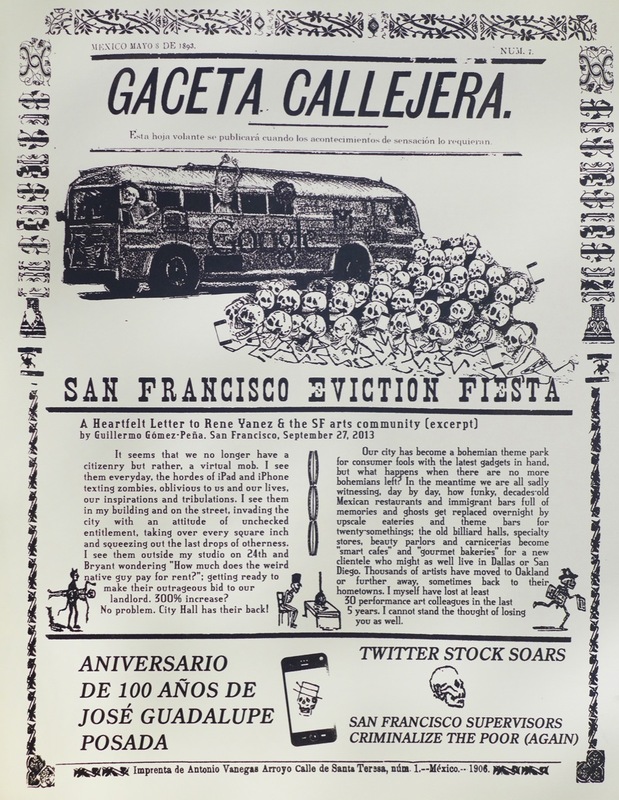 They sent it to artists they knew in the city, and asked them each to create Posada-inspired posters about the anti-gentrification struggle in the Mission. And the artists delivered. Their work was exhibited at Mutiny Radio this spring. As powerful as the posters are, the creation of the show itself is a testament to what could be lost as the Mission becomes more and more unaffordable. 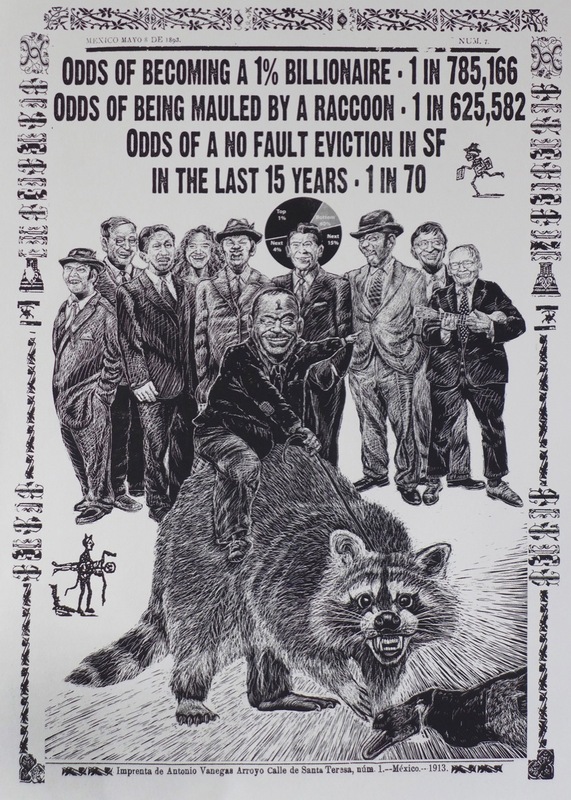 What follows are posters from San Francisco Eviction Times, courtesy of the artists and Patrick Piazza, who photographed them for Boom. Poster by Mobile Arts Platform. Image at top is a detail from a poster by Jose Cruz. Who You Calling a Techie?